Our Polygon collection in design wall decoration ! Entirely hand made this wood wall deco is made out of spruce wood. The dimensions of this wood wall deco are 51 x 43 cm. This modern wall decoration shows a red panda to create a stylish ambiance. 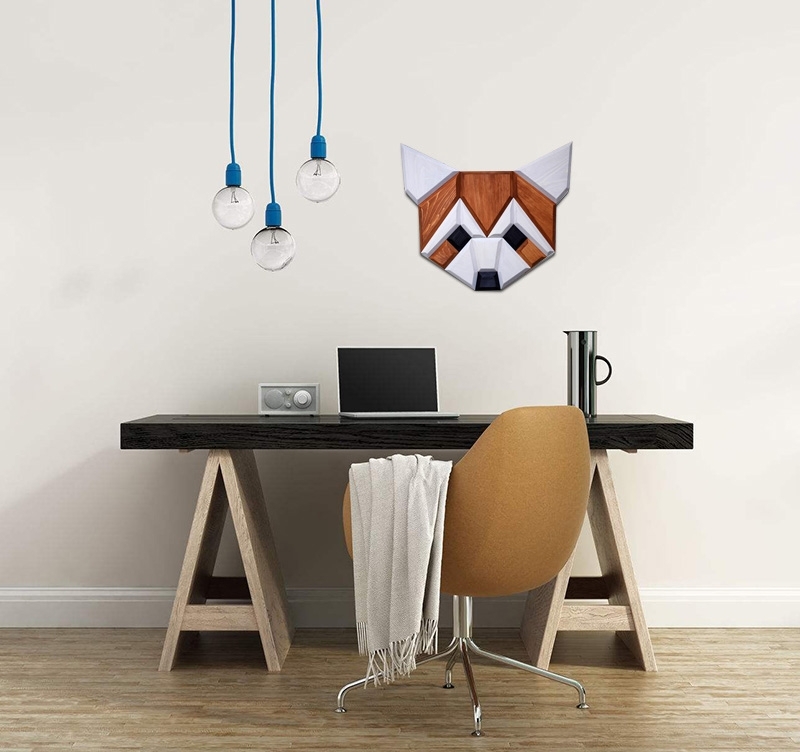 If you wish for a unique animal head decoration, you will succumb at first glance for this small red panda that we present to you ! In a very geometrical style this lounge deco wall deco will be perfect to bring a modern and colourful touch to your walls. 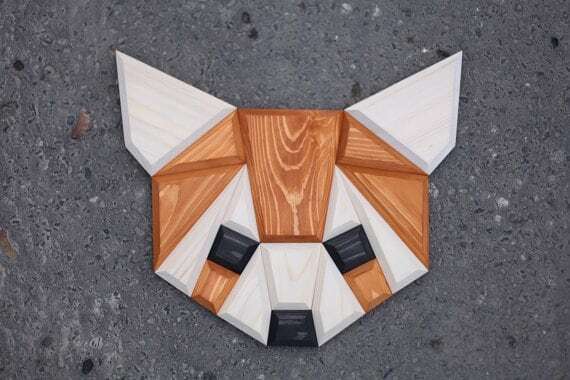 Use your imagination hanging several wood wall decorations with different animals like a panda or a horse that will make the young and the old happy. 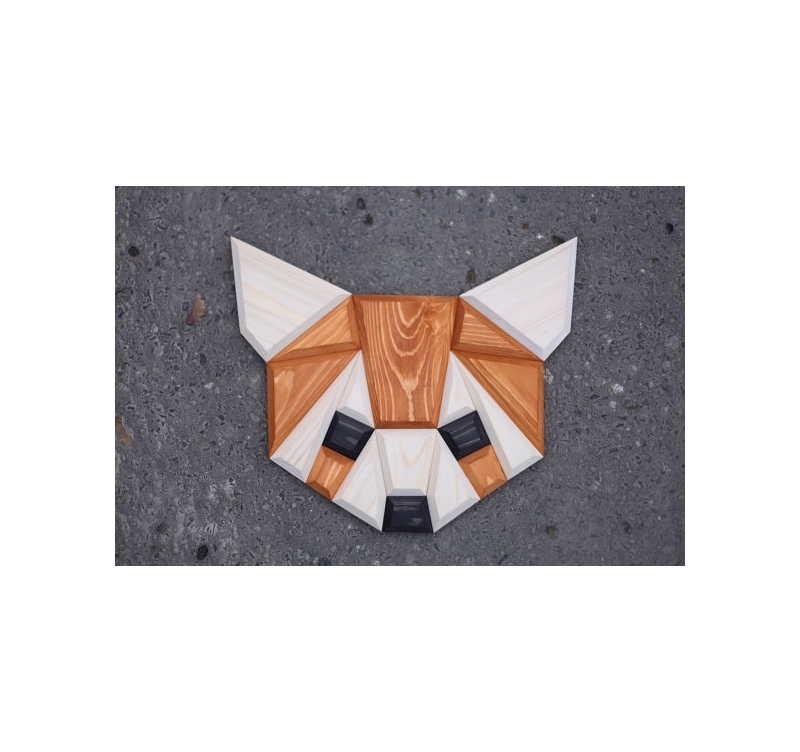 Entirely made of wood this animal head wall decoration has a string hanger to make it easy to hang. Please note that each panda wall decoration may differ in grain. Free delivery in metropolitan France and Belgium for this contemporary wall decoration !